UPDATE: FUNERAL ARRANGEMENTS – (8/23/16) The Diaz family has expressed their deep appreciation for all of the warmth, kindness and concern that has been shown to them by all of you throughout this incredibly difficult ordeal. Services for Rosemary will be open to all who wish to pay their respects. We at Texas EquuSearch pray for a swift and lasting peace to come to all those who loved Rosemary. We are humbled and honored that the family has requested donations be sent to our organization in lieu of flowers. UPDATE: (8/18/16) The Wharton County Sheriff’s Department has released a statement confirming positive DNA identification of the remains found in November of 2015 to be those of Rosemary Diaz. Thank you for holding this little girl and her family close to your hearts and please continue to keep them in your prayers. We will post information pertaining to Rosemary’s funeral service as soon as we are notified of the arrangements. ORIGINAL POST: (11/25/15) On November 24, 1990, 15-year-old El Campo high school student Rosemary Diaz was working at a convenience store near her home in Danevang, Texas, where she was apparently abducted. Though there were no obvious signs of a struggle at the store, and Rosemary’s vehicle was still in the store’s parking lot — law enforcement investigators knew something bad had happened to her. Rosemary Diaz was never seen again. Law enforcement investigators have never given up looking for Rosemary, and their diligent efforts have never diminished. They followed every lead that became available, and used every resource available to find Rosemary. Then in 2015, investigators learned of some very concerning information relating to Rosemary’s disappearance, and were able to narrow their potential search area to a 60-acre plot of land outside the community of Danevang. In early November of 2015, law enforcement investigators contacted Texas EquuSearch, and requested our help to find 15-year-old Rosemary. Texas EquuSearch Director Tim Miller and Search Coordinator Jack Boggess soon met with the investigators. 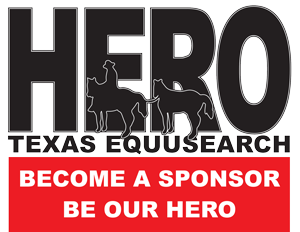 During the first day of their search on Monday – November 23, 2015, members of Texas EquuSearch were able to find some bone fragments that were determined to be human. This discovery made investigators even more determined to find Rosemary Diaz, but there just wasn’t enough light in the day. 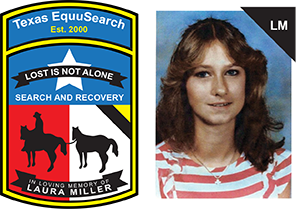 Texas EquuSearch members and law enforcement investigators returned to the search site on November 24, 2015, the 25th anniversary of Rosemary Diaz’ disappearance. While Tim Miller was operating excavation equipment at the search site, he unearthed the skeletal remains, clothing and jewelry of an unidentified female … that is thought to be that of 15-year-old Rosemary Diaz. However positive identification must still be made and confirmed by law enforcement investigators and forensic anthropologists. Rosemary Diaz’ family has been on a torturous roller coaster of emotional hope and despair for the last 25 years. Hopefully, the Diaz family may now have some type of peaceful resolve, and some of their questions might be answered. This search was a huge success in locating the female’s unidentified skeletal remains – because of the combined efforts of the many investigators and deputies of the Wharton County Sheriff’s Office, the Matagorda County Sheriff’s Office, the Texas Rangers and members of the Texas EquuSearch organization.